It was in the ideation of lesson plan, we thought about some activities of songwriting. I looked up for some tutorials and tried Garageband to play around with several music scales. The beauty of GarageBand(for a layman of music like me) is that you can edit the sound you just played, eliminate the wrong notes and drag the duration of notes to fit the correct tempo. Then I thought of music scales: sometimes we know where a piece of music comes from, because of their special selection and arrangement of notes. Scale seems like a narrative strategy in music. Among all the scales I found, Chinese and Japanese are the most translatable for they are all Pentatonic. My teammates thought the idea was fun, but when it comes to lesson plan, songwriting is not very ideal: music theory might take plenty of time, while audacity is a more hands-on experience. After the course, I came back to the abandon songwriting plan and started to think about how the music making process could be simple, funny and also inspiring. 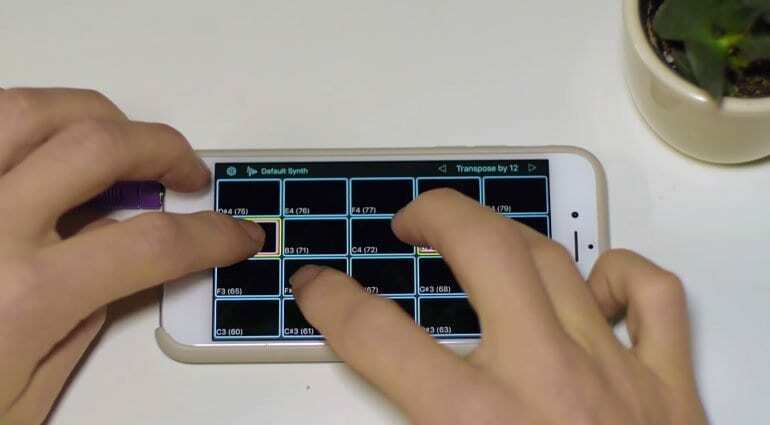 I first thought of there are many midi apps that you can install on iPhone or iPad, and turn the devices into a midi connected to the MacBook as an input instrument. There was interactive called Music: nature and nurture in the American Museum of Natural History. Visitors can compose multiple tracks music simply by drawing on the canvas. And switch from music styles all over the world. But it is not easy to create a harmonious composition. And lastly, I think of google translator: very lightweight with the features to share. Therefore, the design will be a mash-up from midi pad + creative interactive + google translator. And the first chunk of the tune is adapted from I wanna commit suicide by Kwanchen.